The Class of 2016 is adding 10 players to college rosters this season. Rockford Heat collegiate athletes earn significant or FULL athletic and academic scholarships from playing basketball! Multiple Heat Players Selected as Best of the Best! Shout out to Multiple Athletes that were selected for the 2016 Inaugural Preps Best of Rock River Valley Banquet hosted by Rockford Register Star! The event had special guest Dan Marino to answer questions and help make it a special night for the athletes! The following Heat Players were selected: Ally Hasken(Class of 2018)-Freeport High, Mardaeja Cross(Class of 2017)-East High, Kaleia Monteiro(Class of 2017)-Guilford High, Ellie Welsh(Class of 2016)-Hononegah, Madison Davis(Class of 2018)-Rockford Lutheran, Abby Woollacott(Class of 2016)-Rockford Lutheran, Maddy Williams(Class of 2016)-Winnebago High. While Ellie, Abby, and Maddy have already made their college commitments, the rest of these ladies have bright collegiate futures as well! Shout out to Hononegah High for winning the Best Team Trophy, held by Ellie Welsh and Jordan King. Great Job Ladies and Keep Up the Hard Work! R’rionna Brocks Signs to Play College Basketball! Shout out to Rockford Heat player R’rionna Brocks, Class of 2016 (East High) for signing to accept a full scholarship to play basketball at Lake Region State College in North Dakota. R’rionna is a witty guard that can play both sides of the ball, has great speed and quickness that helps attack the basket or play full court defense. R’rionna will be pursuing a major in Sports Medicine while pursuing her education. Good Luck in College and Keep Chasing Your Dreams! 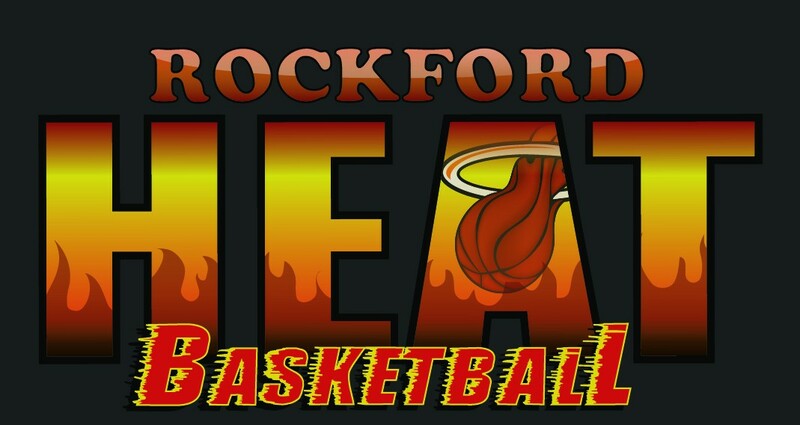 All Rockford Heat Coaches, Players, Parents, Alumni, and Fans are Proud of YOU! Caryn Donahue Decides on UW-Eau Claire! Shout out to Heat Varsity Elite player Caryn Donahue (Hononegah High) for announcing that she will be walking on for University of Wisconsin-Eau Claire to continue her basketball career! Caryn was one of the top 3 point shooters in the NIC 10 that ended up missing the majority of her Senior season due to injury. Caryn has worked non-stop to get stronger through physical therapy and is looking forward to the next chapter in her athletic career! Caryn has always been a huge factor in the success of Hononegah and Rockford Heat teams! Currently Caryn will be pursuing a double major in Psychology and Communication Sciences and Disorders while playing basketball. Great Job Caryn, all Heat Coaches, Players, Parents, Fans, and Alumnae are proud of you!